India ‘A’ had win the 3rd unofficial ODI against New Zealand ‘A’ held at Visakhapatnam. The match looked quite tough but India won the match by 2 wickets. The chase really looked interesting as India finished the match at the final over. New Zealand ‘A’ was the first to bat. At beginning, it looked very defensive and the first wicket had fallen at the 4th over of the match when NZ ‘A’ were at 6 runs. Luke Ronchi was the first wicket for 0 runs. In the other side, as a opener Anton Paul Devcich gave a good start with his 66 runs from 85 balls. Anderson and Latham made half centuries in the middle order and made New Zealand ‘A’ to put a good score of 290. At the end of 50 overs, NZ ‘A’ were 290/9. Menaria, Saxena and Mohanty looked good at Indian bowling and they took 2 wickets each. Rohit Sharama with 1 wicket and other two wickets down by run-out. India ‘A’ was set to bat with a target of 291. 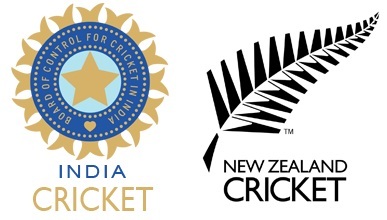 As New Zealand, India ‘A’ also had a defensive start at beginning and first wicket stood for 10 overs. At the 11th over and 37 runs, first wicket had fallen. Chand is the first wicket goes off with 11 runs. Robin Uthappa at other end, gave a good start with his 46 runs. At 20th over, India ‘A’ seems to be in a critical position of 79/4. In New Zealand ‘A’, 4th wicket had fallen at 214 runs. But here in India ‘A’, it turned to be tough chase. Then in the middle order Jadhav and Maneria played well and tackled the situation and made India ‘A’ to rise. Jadhav made 57 and Maneria made 69. Mandeep singh too made a decent score of 37. It looked to be a thrilling chase because at the final stage with 3 overs to be bowled India ‘A’ need to make 25 runs. Mandeep singh made his knock at that situation and finally India ‘A’ won the match at the final over. At the 50th over with 4 balls remaining, India ‘A’ won the match with 291/8. It looked quite thrilling chase as the match ended at the final over. India had made their way by winning all the three matches held and proved to be in good form. Readers share your views on the teams and their performance.